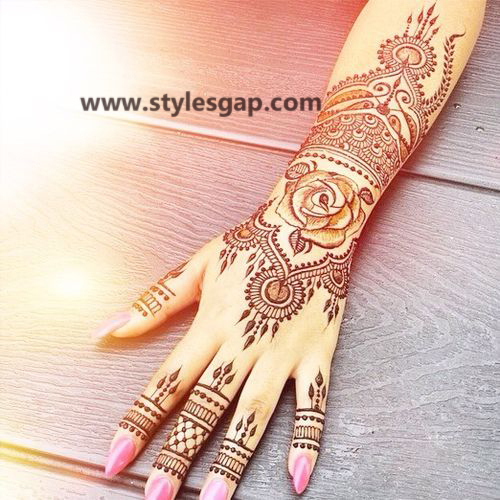 Simplicity is the mother of beauty. 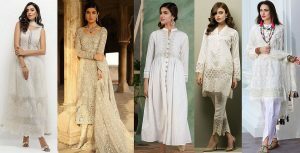 Therefore, anything in fashion embraced by simplicity seems far more appealing and attractive than anything else. 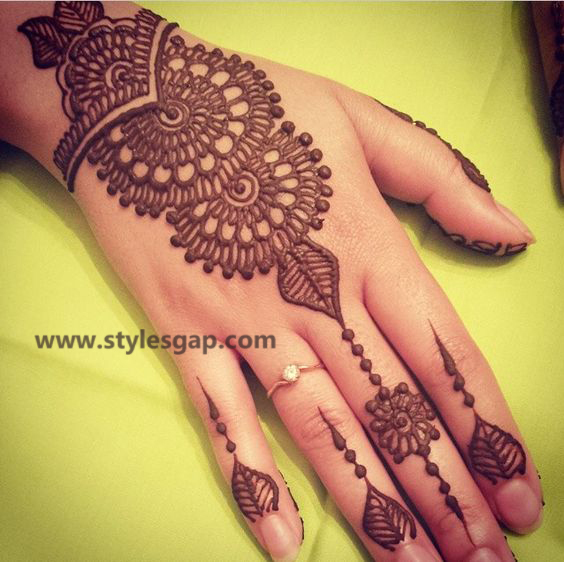 When it comes to mehndi designs, the experts have the same view. 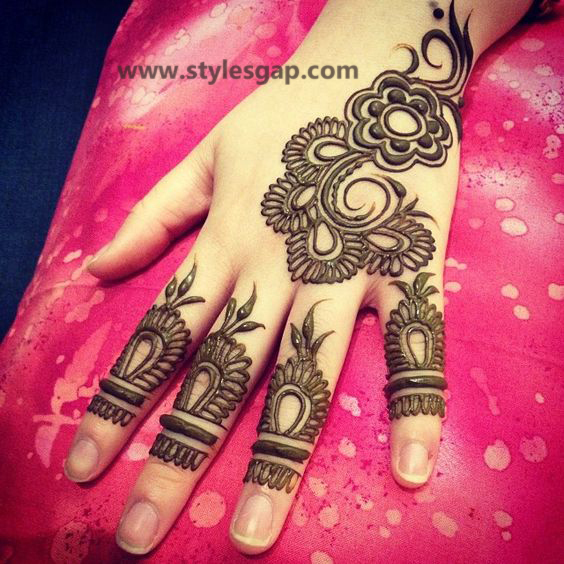 As the fashion trends are extending rapidly, the mehndi trends are also ascending to more elegant and graceful approach. 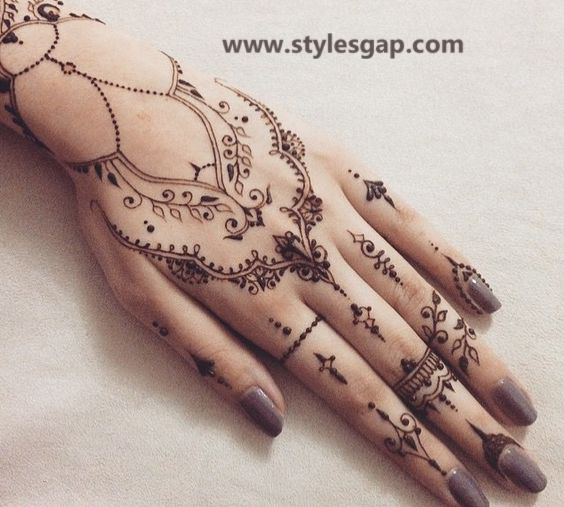 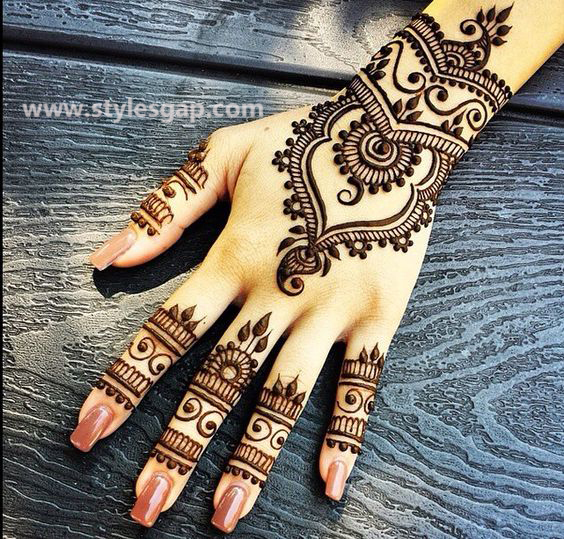 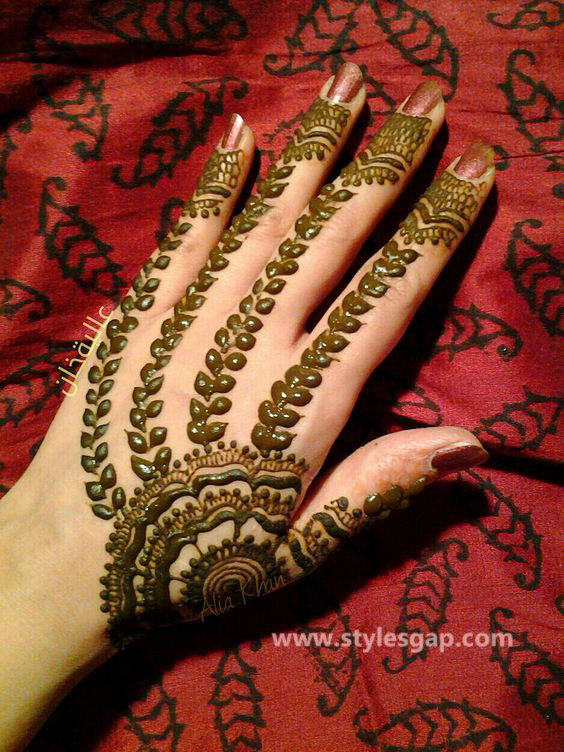 Today, many of the girls do not certainly want those old heavy mehndi designs over their delicate hands. 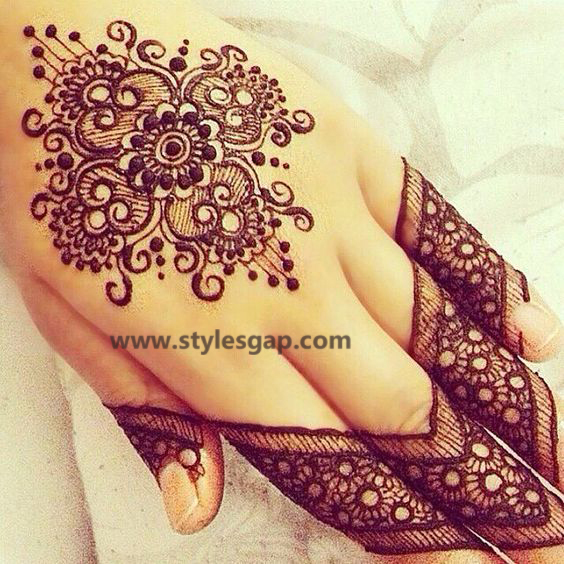 They want to try something that could complement the delicacy of their hand shape. 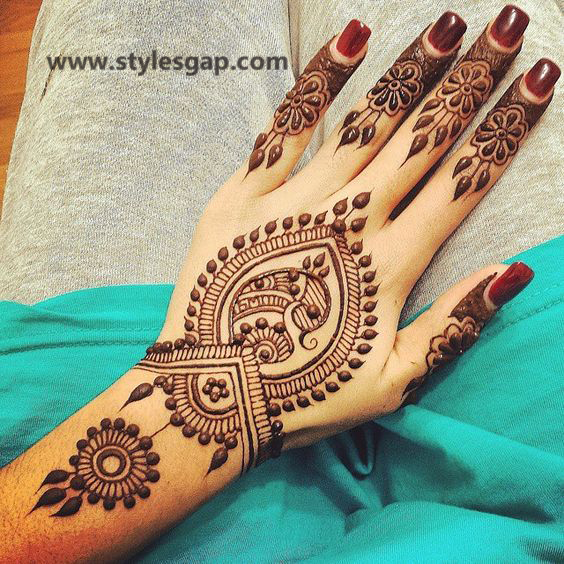 This was the reason that experts have crafted a newer series of mehndi patterns that are a lot simpler yet beautiful. 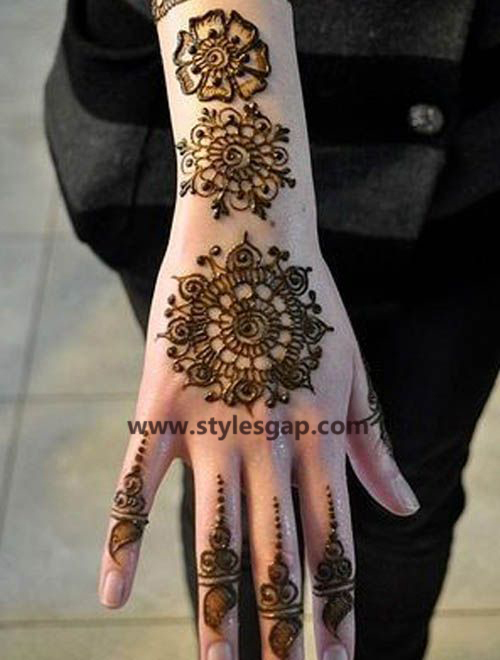 They a re quite easy to apply and to carry yet suitable for all type of formal functions. 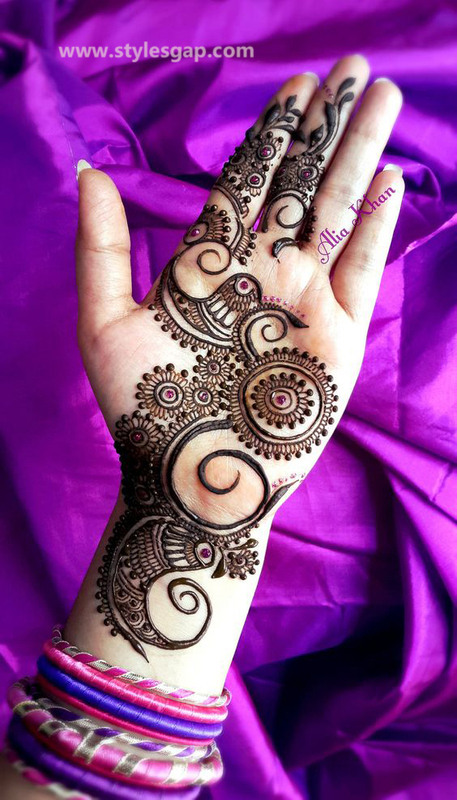 Eid is a big event of Muslims that is celebrated with great joys among the Muslims around the whole world including countries like Dubai, India, Pakistan, United Kingdom, United States, etc. 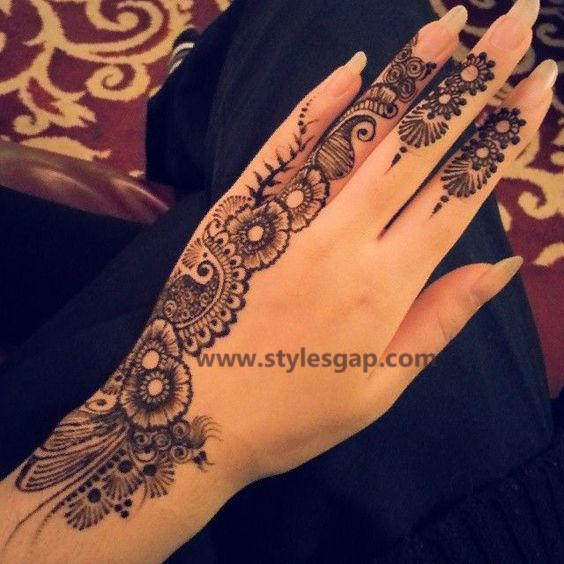 As you know, the Eid is few months far, so we have collected this wide range of Simple Easy Eid Mehndi Designs Collection for you that are simple and easy to follow. 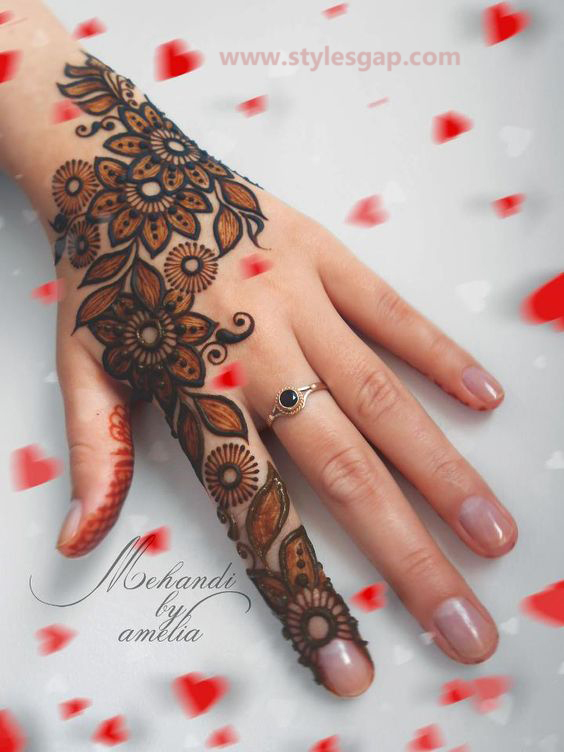 I hope you will love them all. 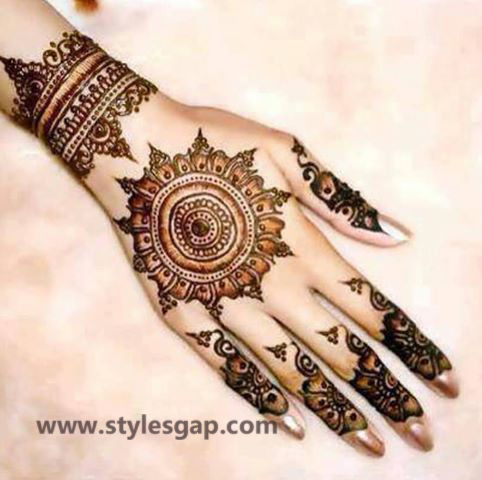 Down below we have discussed few of the most popular mehndi patterns that can be crafted in fine and simple designs. 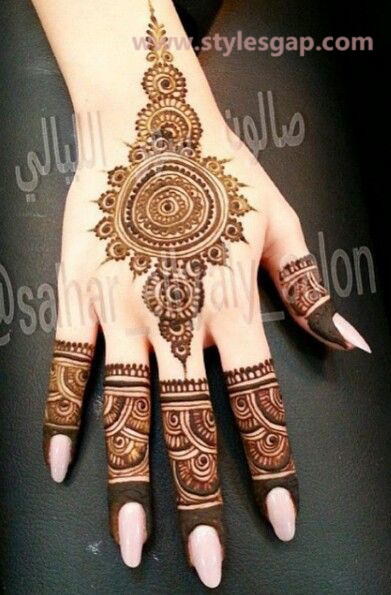 You can either select one type or use combination of two over the front and back of the hands. 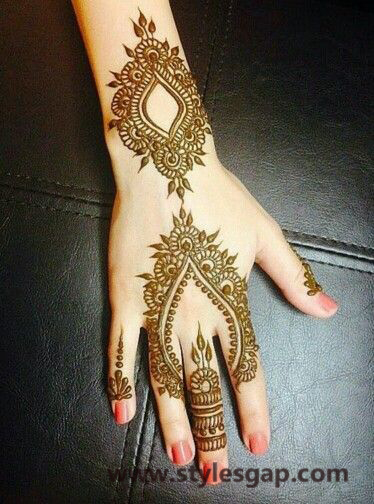 Complement the whole package using the same theme of patterns; this brings coherency in your entire design. 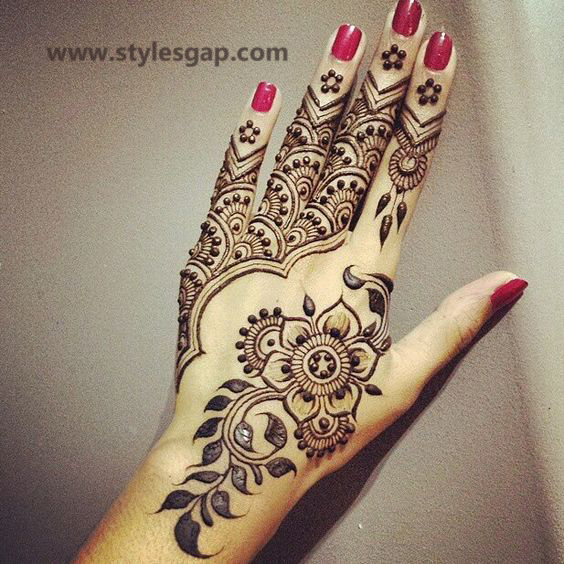 The most common and loved one, the gol tikki design never gets old. 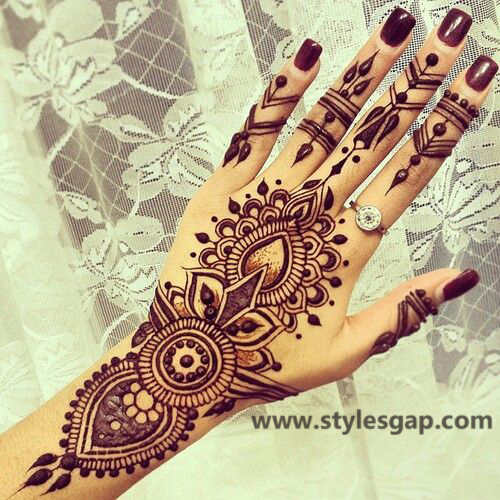 It is simple than the simplest but looks the prettiest of all. 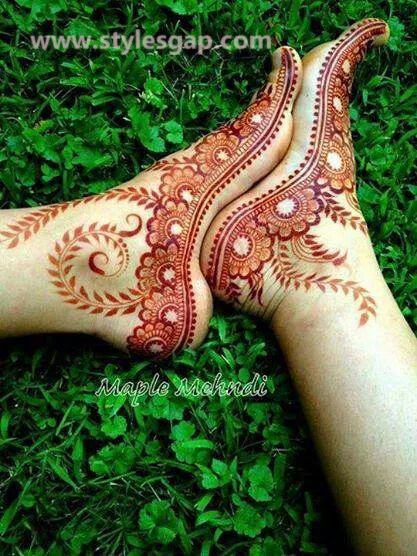 Gol tikki is now made more modified with the fine whorls of flowers curling around the central filling. 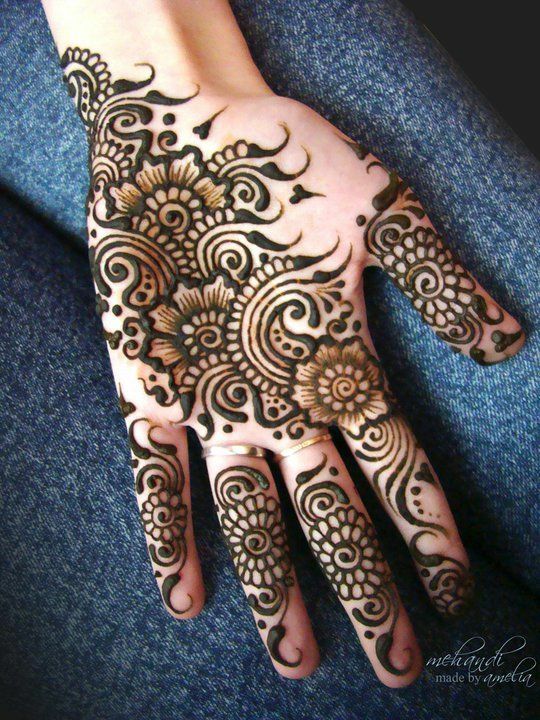 One can bring variation in its outer patterns, but it should match the design along the fingers keeping the rest of the major part of the hand empty. 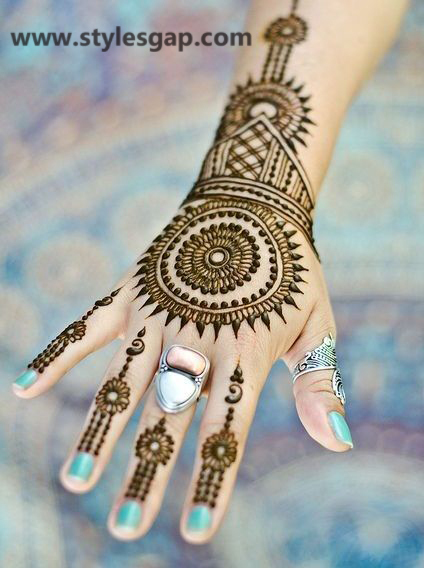 It would highlight the center of your tikki. 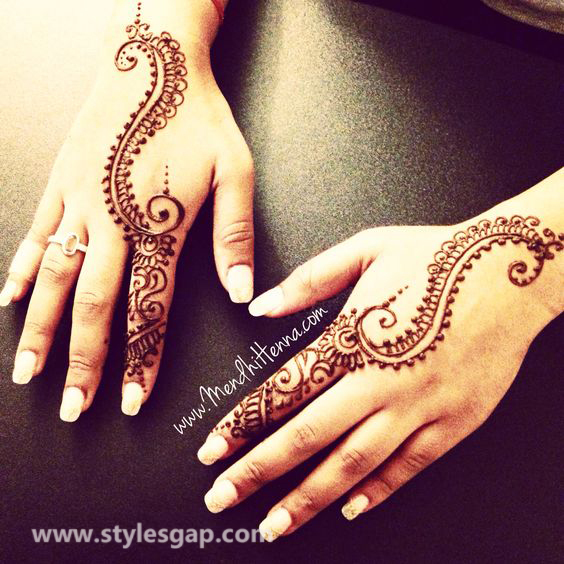 The finer or light you design the pattern around it, the more decent and simple it would look. 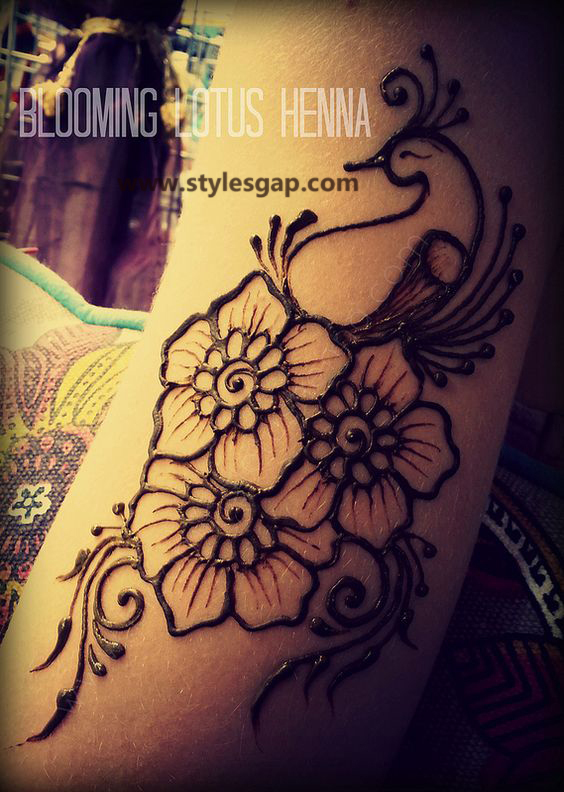 Peacock Mehndi designs to mark the traditional henna patterns which were used in old times, and now they have become the part of every other mehndi design. 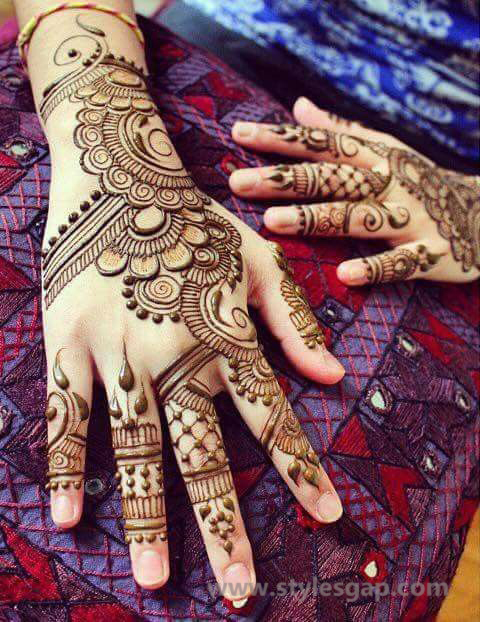 Peacock patterns help to extend the pattern outwards from the center and can be applied in an interconnected series of fine motifs. 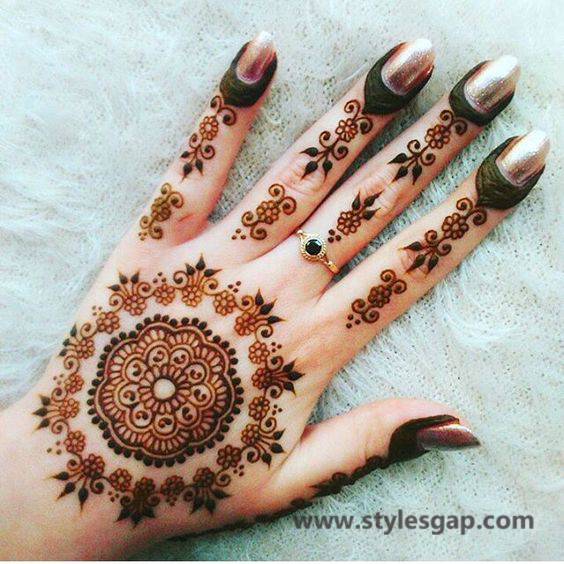 Peacock designs are quite easy to apply too but make sure to use a fine tip of mehndi cone to give your styles super alluring outlook. 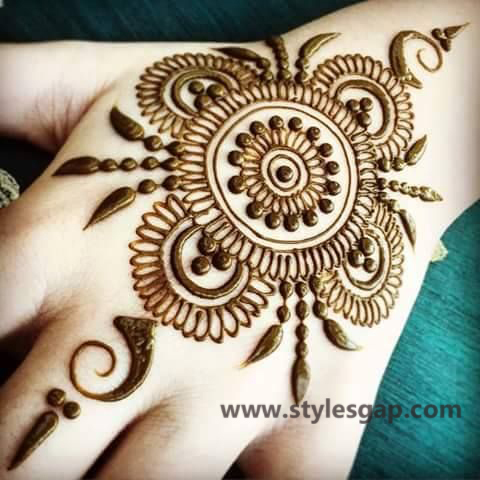 Perhaps the most prevailing and emerging heena patterns are the tribal henna patterns which come in the variety of sharply distinct designs. 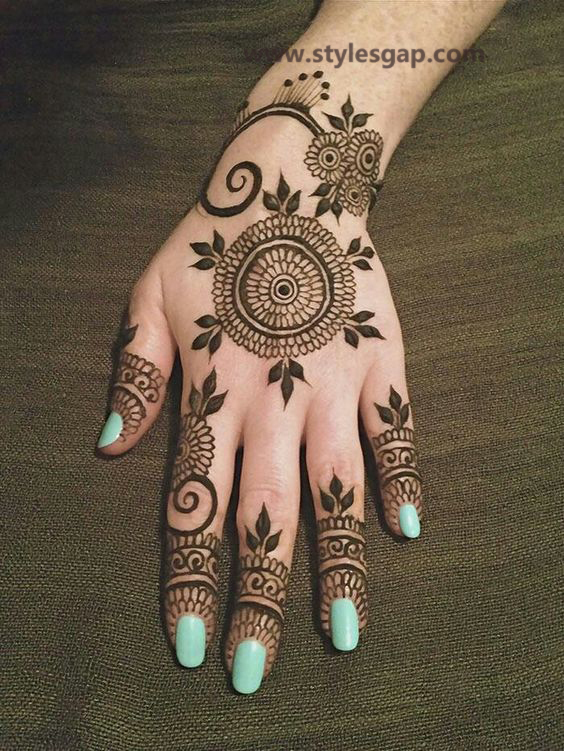 As the use of dotted patterns, network lines or fine block styles make this type unique from the rest, you can keep it to only to fingers or only thumb region of your hand or only to your wrist; it’s all completely up to you. 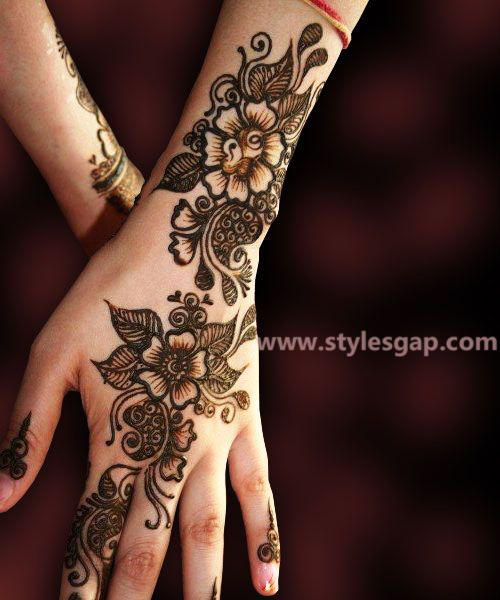 They are called the most modern form of mehndi artwork evolved through traditional patterns. 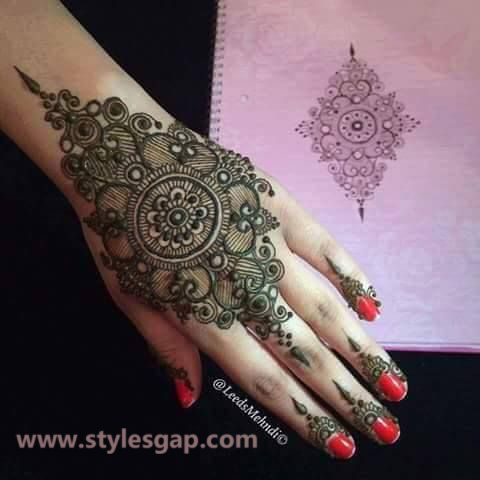 Mehndi designs become hundred times more fascinating when they carry simple and delicate floral motifs. 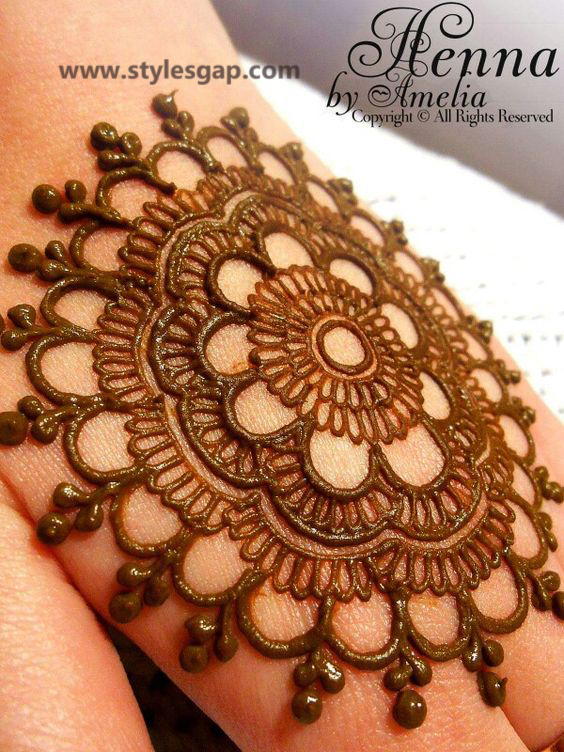 They are most designed for the back of your hands around the index finger or covering the wrist. 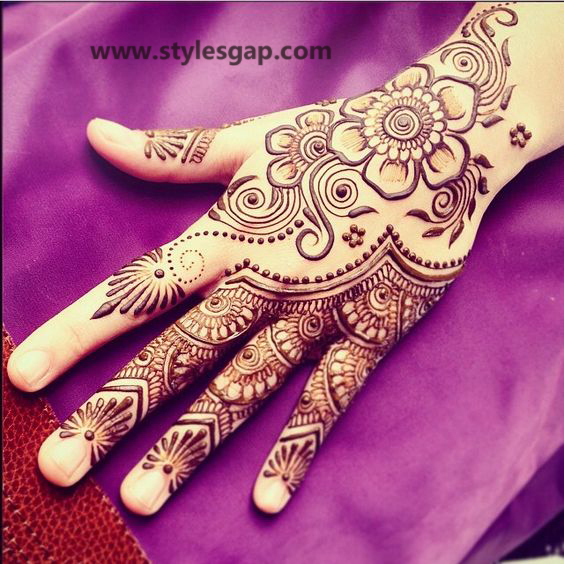 A mehandi motif carrying the small but pretty cluster of flowers right around the corners looks equally amazing. 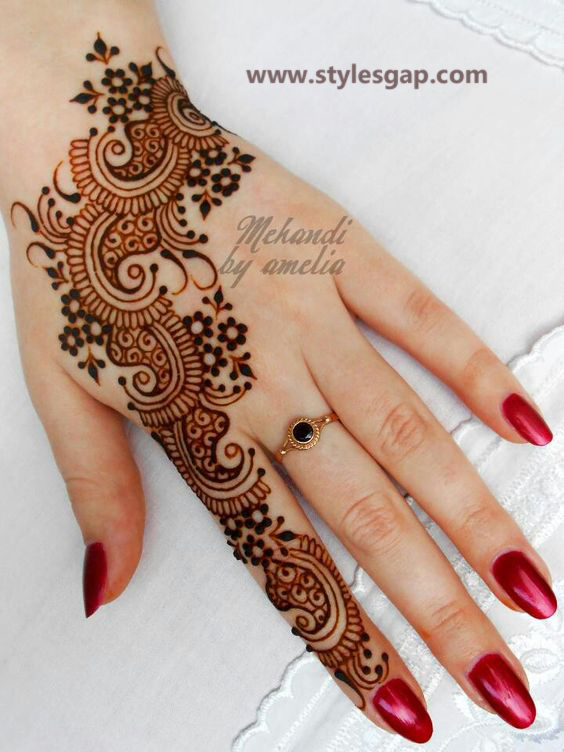 You can connect these flowers through curves or lines extending from one end to another.